Based on the internationally bestselling novel of the same name, The Guernsey Literary And Potato Peel Pie Society tells the story of Juliet Ashton (Lily James), a free-spirited, successful writer living in post-war London. This film features the cream-of-the-crop from the cast of the BBC’s Downtown Abbey. It is a touching, visually spectacular, inspiring, funny and romantic drama for fans of movies that stay true to its source. Despite the success of her recent novel and support from her dear friend and publisher Sidney (Matthew Goode), she struggles to find inspiration for her writing after the harsh experiences of the war. Poised to accept a proposal from Mark Reynolds (Glen Powell), a dashing American GI, she receives an unexpected letter from a Guernsey farmer named Dawsey Adams (Michiel Huisman). Juliet impulsively leaves for Guernsey, where she hopes to write about the curiously named book club that Dawsey has written to her about, formed by his fellow islanders under the German occupation in WW2. Juliet is charmed by the island and inspired by the members shared love of literature. As a lifelong bond forms between this unlikely group of friends, Juliet soon realises that the society are hiding a heartbreaking secret, which they are afraid she may bring to the surface. As Juliet and Dawsey become close, she begins to unravel what happened during the difficult years under the occupation and starts to understand why they are so afraid to tell her their story. Her fate now intertwined with the society, Juliet must decide how to help her new friends and follow her heart, knowing that her life may change in ways she had never expected. The Guernsey Literary And Potato Peel Pie Society starts showing in South African cinemas on Women’s Day – Thursday, 9 August 2018. WIN! 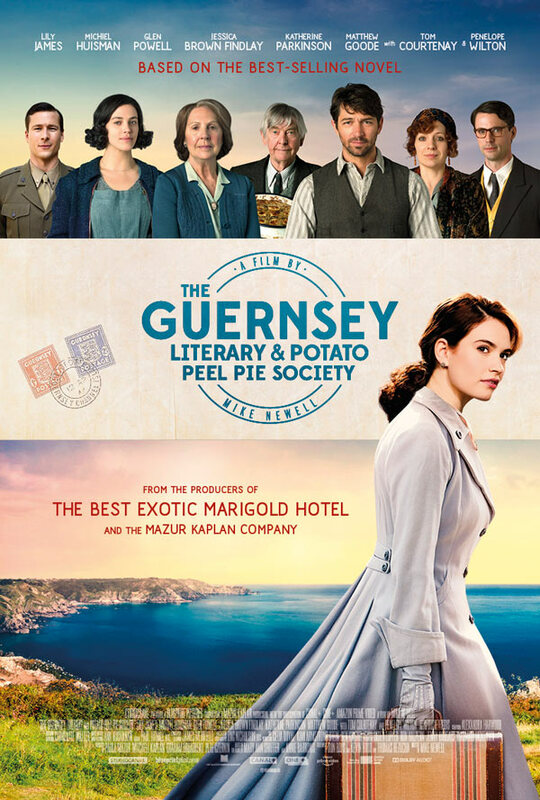 50 readers can each win double tickets to attend the special pre-release screening of The Guernsey Literary And Potato Peel Pie Society on Wednesday, 8 August 2018 at 20:00, taking place at Cinema Nouveau V&A Waterfront in Cape Town. Each winner and their guest will also receive complimentary popcorn and soda. To enter, simply complete the entry form below. Terms and conditions apply. Competition ends 31 July 2018.